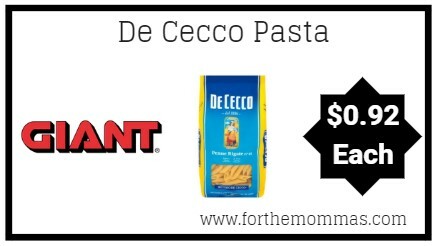 Giant: De Cecco Pasta Just $0.92 Starting 12/7! Starting from 12/7, De Cecco Pasta are on sale for $1.67 each. Plus, you can earn a SavingStar Rebate to make your final price ONLY $0.92.